While I have worked a little on Moments of Gaming for June for the most part I've been extra busy with work and haven't come up with a topic for today. I shall therefore end the month on a quiet note and probably post Moments of Gaming tomorrow. This is a very interesting board game. It's a few years old now but a friend of mine recently bought a copy and we played quite a few games yesterday evening. It can only be described as Egyptian themed laser chess. You move your pieces around the board, some of which have mirrors on, in an attempt to direct a laser beam into your opponents pharaoh piece. I expected to lose a lot as I was never very good at chess but for some reason it turned out I was rather good at it, which makes a change! There are expansions to the basic game involving multiple levels and beam splitters which sound fun but complicated. I've not played those yet but I imagine that will need a lot more thought for each move. Find out more about Khet here. Absolutely nothing whatsoever happened today in Sector 83 by 9 by 12. I repeat, nothing happened. Please remain calm. 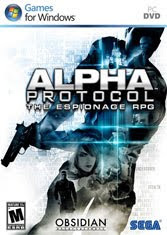 This afternoon while ignoring the football I completed my first play though of Alpha Protocol. It's fairly typical to play RPGs more than once as it's impossible to see everything the game has to offer in one go with so many choices leading to mutually exclusive content. This seems to be particularly true with Alpha Protocol. I'll have to play again to see how differently it turns out but on my first go it felt like the choices were having significant consequences. The story of the game is a bit confusing at times, there are lots of different factions and plots to deal with which makes it easy to lose track of what is going on. That's not necessarily a bad thing, you just have to remember pay attention. It's good that games have complex stories these days but the amount of choice in this has left some things unclear which is a shame. 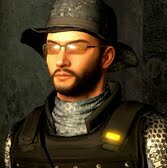 Unlike some RPGs there's not a lot of options for character customization, you always play Michael Thorton and he has a fixed history, any changes you can are minor. I decided to give him glasses, beard and a hat! A lot of the reviews for this game came down hard on some of the bugs and issues with the game. I'll admit it's not perfect by any means and it also felt a bit short but I enjoyed the time I spent playing it and I intend to give it another go in the future. The developers (Obsidian) don't work with many of their own IPs, this is the first that I can think of. Hopefully it's sold well enough and they're considering an Alpha Protocol 2. With the lessons learned from this one and a bit more polish they could have a huge franchise on their hands. Series 5/Series 31 of Doctor Who has come to an end and overall I'd say that it has been a brilliant year. Matt Smith, Karen Gillan and Steven Moffat have taken the series to a whole new level and made it their own while still making it feel like a continuation. As much as I enjoyed the Russell T Davies years it was Moffat's episodes during that time which stick out as favorites. So now with him in overall control the show feels a lot more consistent to me. Watching some of the behind the scenes stuff you can see that Smith and Gillan are having a huge amount of fun on set and really enjoying the process, much more than David Tennant or Christopher Eccleston did and I think that shows though. Doctor Who is at a high in the public consciousness at the moment and if the current quality continues it probably will be for a while. When people look back at the classic series at lot of attention goes to Tom Baker and Sarah Jane. When people look back in another 30 years I wouldn't be surprised if it's Matt Smith and Amy Pond we've thinking about not Tennant and Rose. Tonight's finale was great with lots of wibbly wobbly timey wimey stuff which is one of my favorite aspects and one Steven Moffat does really well. Still we know nothing of The Silence but apparently that will be next year. Now we just have to wait until Christmas for the next special. Sometimes I've got topics in mind for days in advance. This has been especially true with E3 recently. However now I've run out and I'm stumped today. Also it seems I forgot to spell check yesterday, oops should fix that. 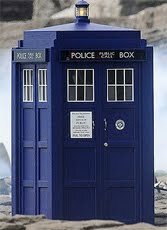 Wishing everyone a nice weekend, I hope that Doctor Who is good too. 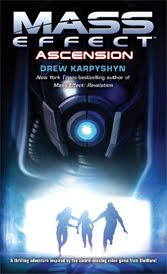 Just this week I've finished reading the second of the Mass Effect books. 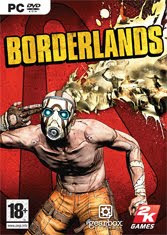 This one is set in between the first two game and tells the story of a young biotic being experimented on by Cerberus. Somehow I found this slightly less enjoyable than the first book. I think that stems from the fact there's no direct connection to the games in this one. Sure it's set in the same universe but other than the Illusive Man there's no characters involved from the games. Even though one of the characters is from the first book it still feels a bit disconnected. It's still an interesting story itself just less part of the greater whole. I suppose it does serve the job of explaining the motivations of the Cerberus organisation some more. They jumped from small side quest to major antagonist between the first two games which I've always felt was a little weird. I'll wait until Mass Effect 3 arrives before I make a final overall judgement though. Good fun book which will pass some time but only if you're a fan. Magic: The Gathering - Duels of the Planeswalkers is a game with a very long name. Like comics owning a Magic deck is a geek thing I've never actually done. I've played a fair amount but never with my own deck. I've also collected and played other CCGs such as the ST:TNG one. So when I saw MTG:DOTP (wow even that's long) on Steam for a cheap pre-order I thought I'll buy that for a dollar (actually £7). The price was good, the screenshots looked nice and it's a while since I last played any Magic. I've always enjoyed the card game but choosing decks, dealing cards and doing combat calculations in your head can be a bit of a pain sometimes. So having a computer do those parts for you is a good idea in my opinion as that just leaves you with the fun parts. Sure some people might say maths is fun, I'm not one of those people! 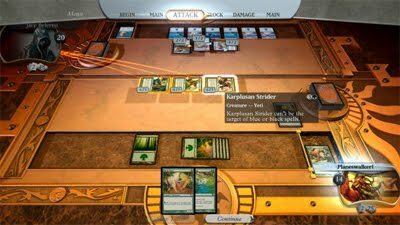 Now I'm aware that there is also Magic: The Gathering Online available for playing computerized Magic, but that's a super strict version where all the fanatics go. Also the idea of paying money for virtual trading cards sounds like a little bit of a waste to me. Duels of the Planeswalkers is much friendlier to newcomer (noobs like me). It has preset decks and automates everything it can making it really easy for someone with a basic knowledge of the card game (such as myself) to get started. Although that doesn't stop me sucking and losing a lot! While waiting for the game to be released I had a read of the game forums (often a bad idea). There seemed to be quite a lot of hatred for the game. Firstly because it was just a port of an XBox Live Arcade game (I don't have an XBox so that doesn't matter). Secondly for not giving enough options for the seasoned player to customize decks or do advanced game play (but that's what I was trying to avoid by getting a computer version). So, if you think Magic is a short bit of fun buy Duels of the Planeswalkers. If you think it's serious business play Magic: The Gathering Online. Otherwise go read a book or something. The new Nintendo 3DS sounds like quite a feat of engineering, a 3D screen that works without the need for 3D glasses is a pretty cool concept. I've heard of other 3D concepts that don't require glasses but this is the first that seems to actually be going into production. All the write ups make it sound really good but you can never really know for sure until you see it for yourself as it's not an effect you'll be able to see on video. However I do wonder what exactly it will bring to the games. I'm not sure if it can ever be more than a gimmick, it will either be that or inconsequential. I do own a DSi which I do play fairly regularly but usually only short bursts of Mario Kart or Tetris. I don't think that I play enough for it to be worth me getting a 3DS, not right away anyway. Perhaps when the second generation arrives. 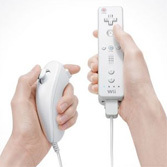 It was way back at E3 2006 that I first saw Nintendo Wii in action with it's motion controls and I was immediately impressed. I don't remember exactly when it was I first tried it for myself but it was pretty soon after the UK release that a friend of mine bought one. It will still pretty impressive when playing live though not quite as good as I imagined. Over the next few years Nintendo released other related products such as the balance board and the Motion Plus attachment. With the Motion Plus release and the black version of the console I finally bought one for myself. With the added Motion Plus the control feels a lot more accurate. There's still some lag but that largely depends on the game. The other two console manufacturers (Sony & Microsoft) have been playing catch up ever since. They both previewed motion controls of their own at lasts years E3 then this year announced they were ready and going on sale. 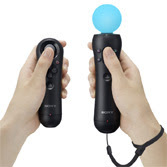 Sony's attempt, the Playstation Move, looks awfully similar to the Wii controls. Although it differs in technical terms. Rather than IR and Wireless it uses a camera to track the light of the glowing orb thing. By the looks of the videos this makes it more accurate than the Wii but also apparently more susceptible to lighting conditions. Of course to know for sure I'd need to play it for myself but I don't know anyone who owns a PS3 and I'm not bothered about having one for myself either so that's unlikely to happen. Microsoft took a different approach for the Xbox 360 with their new Kinect system, deciding to take the controllers completely out of the equation and instead use an advanced camera system to track body movements directly. In addition they've added a voice activation system allowing you total control of the system without touching anything, in theory. To me this sounds the most interesting but unfortunately in the videos it seems that it's still not quite accurate enough and there's a fair amount of lag in translating your movements. It sounds like it still needs a couple of generations of improvements. Of course the biggest problem with motion control overall is space. In all the promotional videos people are playing these things in large living rooms with lots of space. I on the other hand live in a flat with not a lot of floor space. If a Wii game wants me to step off the balance board I can't unless I start moving tables. If I need to jump I'll hit my head on the ceiling. So generally motion control is not for me, I'll stick with PC gaming for now. Wishing all the awesome dads out there a happy fathers day! To my dad: I hope you had a nice time with everybody and that the cooking went well, I'm sorry I wasn't able to make it. I shall make it up another time. Hope you enjoy your present! Let me start with a couple of quick thoughts about MMOs in general. I've not played very many over the years for two reasons. The main reason has always been the cost. As someone with an irregular income it can be tricky sometimes to meet monthly payments and of course if you try to play more than one at a time it can get expensive. The second reason is the amount of time you need to invest to fully experience the game. The first one I really played seriously was Anarchy Online once they introduced their free to play system. I spent a lot on time on there and enjoyed it lot. I still log on now and then but not a lot recently. Then a couple of years ago I finally tried Eve Online which had been tempting for a long time. I was hooked pretty quickly and still play regularly. 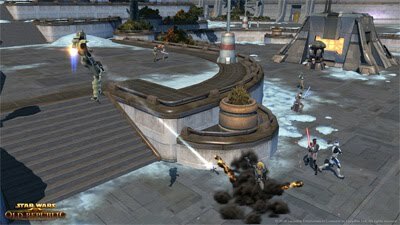 Unlike any MMO I've played before I'm going to be a member of The Old Republic from day one. The first choice will be what class to play. There are eight classes to choose from split across the two factions, Republic & Sith. The Republic have the options of Trooper, Smuggler, Jedi Knight & Jedi Consular. 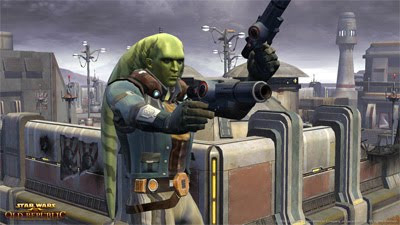 While the Site have the choice of Bounty Hunter, Sith Warrior, Imperial Agent & Sith Inquisitor. In the old KOTOR games I've always preferred the light side so I guess that means I'll be siding with the Republic, at least for my main character. Now all the classes have interesting differences and I'm sure they will all be balanced and fun to play. However the Star Wars geek in me finds it hard to resist the draw of a light saber so I'll probably be one of the Jedi options, currently I'm thinking Consular. They've got lots of interesting planets and locations planned for us visit, both from the films and the previous games. Curuscant, Alderaan, Tatooine and Hoth are the obivous ones from the films. 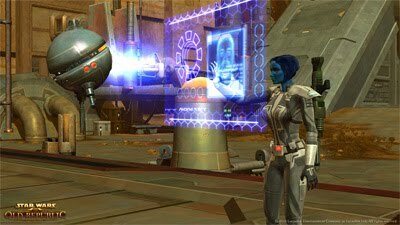 In KOTOR I always enjoyed being on Taris so I'm glad to see that back even though it was virtually destroyed. Looking though some of the available information it seems that as a Jedi Consular the planet Tython would be my home base. I've not heard of that one before but it looks good. It seems that is where the Jedi relocated their temple to after the sacking of Coruscant (as seen in the 'Deceived' trailer). The biggest worry for this game is that after all the hype it's been getting that it will fail to deliver and that a lot of people will be disappointed. The Star Wars and Bioware communities are both very vocal on the internet so if something is wrong it could die a pretty horrible death. I have faith that Bioware can pull it off, they've pretty much got golden touch when it comes to role-playing games and I've enjoyed everything they've released. However this is there first MMO which mean there's a lot more to think about other than the story, such as server capacity. A lot of MMOs have failed because of too much downtime and a lack of capacity at launch meaning no-one could actually play the game. I hope Bioware and Lucasart properly anticipate the demand for this game. I think now I need to play some more of the Knights of the Old Republic game I started a while back. E3 2010 is now over so it's time for look back at the week of gaming madness now there is time to think without being bombarded with new information. The coverage this year has been fantastic. A big thanks to all the major sites who have the capacity to report the news live. Technical problems where fairly low for the most part. Gamespot had problems with the first press briefing from Microsoft so I had to watch the feed from Game Trailers instead. Other than that things all went smoothly. The amount of raw data that goes in and out of that place must be enormous! It's become a tradition for people to rank the pre-E3 press conferences. That used to just be the big three (Microsoft,Nintendo & Sony) but in the last two years that seems to have grown to include Ubisoft and EA. To me they were all slightly disappointing as they didn't really feature the games I'm interested in personally. Sony was the best in terms of presentation. Nintendo was probably the most exciting with lots of announcements and information. Microsoft didn't have lots to say that wasn't about Kinect. EA had the most impressive selection of games. Ubisoft had an annoying presenter. So I'm going to go with the following order (best to worst): EA, Nintendo, Sony, Microsoft, Ubisoft. There where not a lot of surprise announcements this year, just more information about things which we already knew were coming. The new trailer for Star Wars: The Old Republic was awesome. More game play footage from Fallout: New Vegas is looking great I don't think there will be any disappointment there. New information on Portal 2 showed a lot a new features which should be really fun. It looks like it's going to be harder than the first one and a whole lot more mind bending. I'm still not sure what I think about Rage. ID and Bethesda both have a great reputation for games and it looks amazing on the new ID tech 5 engine but it doesn't appeal to me enough to get me all excited about it. On the other hand Civilization V looks brilliant and all the changes they're making seem to be good ideas. No more 'stacks of doom'! The biggest news of the year was probably the fact that the 3DS was ready and working and will be going into production soon. Nintendo have worked their magic and come up with a way to make a 3D screen that doesn't need glasses to see. They've been pretty tight with security so far. None of the cameras at the event were allowed to take photos of the screen while it was switched on but written reports from the people who got time for a hand-on session all said it worked well. There is not a release date for it yet so while it may be out in Japan by Christmas I expect it probably won't be available here until next year. 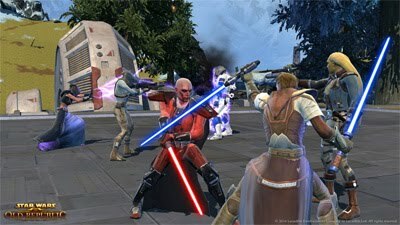 I'm going to give The Old Republic, Motion Controllers and the 3DS their own dedicated posts so look out for those. Last day of the conference today so not much new news today as things wind down. Highlights of the show for me were the obvious really including Star Wars: The Old Republic, Fallout: New Vegas and Portal 2. The amount of coverage this year has been huge. There's quite a few sites that run video footage from the show, especially for the big three press conferences, but I've always been somewhat loyal to Gamespot. They had a few technical difficulties on day one but that's usually the case. The best thing they've had this year though is the live cam guy. I mentioned him briefly yesterday but I've been watching again all this evening. Even though it's just a guy walking around chatting with people and getting a few shots of the games it's bizarrely interesting, probably because he sounds like a nice guy. I guess it's the closest the general public will ever get to seeing what it's actually like to attend. They do a lot of studio based demos during the event but compared to the live cam guy they seem to feel quite scripted. The live cam gives a much better impression of the atmosphere of the whole thing. 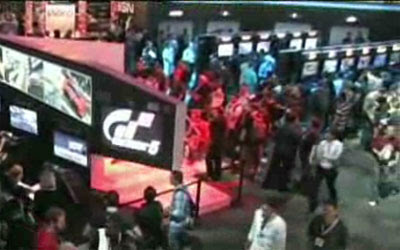 Overall it's been a really great year for E3 so I'll end with a screen capture from the live cam. I suppose technically I'll be talking about yesterday's floor show rather than today's as that is still in progress as I write this. In addition to the usual stage demos features Gamespot have added a new feature this year. They've got a guy walking the the show floor with a live camera talking questions & directions from the web giving the public a view of the show which we don't usually see. It's pretty cool to see though of course a lot of it is shots of people walking! It seems like an obivous cash in with the new film on the way but this looks like it's going to be pretty good. I'd not heard about this one before but I'll be keeping an eye on it now. I've been looking forward to this for a while. It was a bit disapointing when this was delayed until 2011 but now we've seen some footage and it's looking impressive. I didn't know this was coming, it looks quite nice but with The Old Republic on the way I don't think I've got the time or the money for another MMO. Another Warhammer game I'd not heard of before. This one is an Action/RPG thing but unfortunately it's not getting a PC release. Of course they annouced the player ships for SW:TOR yesterday but later some more details were released. There is going to be a unique ship type for each class and there's some video footage of the Jedi & Sith ships. So late last night (UK time) was the Ubisoft press conference. They had a 'comedian' presenter who I didn't really like so not a good start. They've had a few knocks to their reputation this year with all the DRM issues. Unfortunately this conference didn't do a lot to repair it. They didn't really have anything to show that I'm interested in. There's Assassins Creed: Brotherhood & Tom Clancy's Ghost Recon: Future Solider which are the really big names which look nice for those types of game but they just don't appeal to me personally. There was Driver: San Fransisco a franchise I'd completely forgotten about but I do vaguely remember playing some of the first one years ago. Shaun White: Skateboarding not interested at all. The had more fitness stuff for the 360 Kinect system but that was basically a repeat of what was shown at the Microsoft conference. They had an odd Battle Tag laser game system with actual guns and sensors which seemed a little odd. Though I can imagine younger players being more interested in such things. Raving Rabbids had a really cool trailer but still not my type of game. One interesting thing they had was Mania Planet an content editor system which has possibilities. Then today before the floor show starts were to final two major conferences. The first of which was from Nintendo. They started with the new Zelda game for Wii, Skyward Sword, which looks great. I've never actually played a lot of Zelda but I have watched a lot being played by other people, this one looks like it should be good installment. They had some more sports and mini-games with Mario Sports Mix and Wii Party which is typical Wii stuff and not very interesting. There was Just Dance 2 to which I will just say, No! Big news for a lot of people is a brand new version of GoldenEye, an old classic. I always played Perfect Dark more than GoldenEye in the past but this looks kind of cool. Disney Epic Mickey looks like an interesting concept for a new platformer but is Mickey Mouse really an important character anymore these days? Kirby Epic Yarn has a crazy cool art style though of course many people will say it's too cutesy. 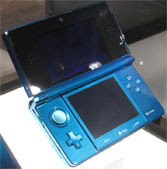 Nintendo's biggest news was of course the 3DS, the new 3D version of their handheld which can do 3D without glasses. A 3D handheld is not something they could easily show in a large auditorium so we've still not seen any game play for that. Hopefully there will be some write ups from the floor show about that tomorrow. Finally there was the Sony conference. This was probably the best conference in terms of presentation but at the same time the least interesting to me as I don't own a PS3 or a PSP and I don't really plan to. They're heavily pushing the new 3D system to go with their 3DTV's but again they can't show that on the live web stream. They demoed the the Move system, PS3's answer to motion control. It actually looks like it's the most accurate of the three. I think I'll do a separate post about all the controllers another day. A lot of new PSP games had trailers but non which interested me. For new games there was Killzone 3 which I'm afraid just looks too generic. There was Sorcery for Move which actually looks quite fun. Portal 2 for PS3 was a big announcement but I'll be playing the PC version. Gran Tourismo 5 has been in development for a long time and has finally got a release date but as I've mentioned before I'm not bothered by racing games for the the most part. Sony's big secret this year was Twisted Metal a crazy car combat game. That's a sequel apparently but I don't remember ever seeing it before myself. That's it for the conferences and new it's time for the floor show. Most of the news now is reviews and screenshots. That's where I'm more likely to find more information about the smaller or less famous games which I'm more interested in. Although I am a little surprised there was no mention of Dragon Age 2 at the EA conference but hopefully they'll have something about that at their booth. While the floor show doesn't start until tomorrow some of the press conferences take place on the day before. As usual first up is the Microsoft briefing. Now this is nearly always focused on the Xbox 360 rather than any PC related things and this year was no exception.Nearly three quarters of the briefing was related to the new Kinect system (formally Project Natal), Microsoft's new controller free motion control system. The whole concept of the system is interesting but the games they're demoing for it seem awfully underwhemling. It looks great for controlling the menu system or playing films and music but the games need a lot more work. The one thing that did look good was Forza Motorsport. I'm not usually a big racing game fan but this looked good with the Kinect system tracking your head movements allowing you to actually look around through the windscreen by moving your head. They did have some standard games on show including Gears of War 3 and Metal Gear Solid: Rising but they were not titles I'm really interested in and they where all known, no major surprises here. The new slim version of the 360 does look very nice. It's probably about time I got one for myself. Overall not the best start ever Microsoft seemed to be lacking new things to announce which is a shame because they usually but on the flashiest show. Next up is EA hopefully that will be better, they'll at least be the most likely to show more PC titles. With the exception of the EA sports section the EA conference was much more interesting. I'm not bothered by MMA or NFL so that's a dull part for me but it's to be expected from EA. They started with Need for Speed and Medal of Honour, both of which looked great, but again that's a racer and a shooter so not really my thing. Also announced was the EA Gun Club some kind of reward club offering bonuses for playing EA games. I'm not sure how useful that will be, it doesn't look that great. I guess they're using as a way to discourage piracy. Sims on consoles, not bothered about that either but I guess it's fair to say that lot of people out there will be. Now EA Partners this is the exciting part, the games from other developer where EA just acts as publisher. Crysis 2 looks like it could be good but the guy playing it didn't seem to be very good so we got lots of shots of of walls. Bulletstorm from Epic Games looks like it would be fun in a crazy over the top way, but some of the events seems a bit scripted and the tough guy duo characters make it feel similar to Gears of War (also from Epic). Isn't it about time for a new Unreal Tournament? Now the big one, Star Wars: The Old Republic. We'll get our own spaceship as a base of operations, that's cool, I wonder how many will be called M1ll3n1um Falc0n? There's another awesome pre-rendered trailer but still very little game play revealed. Next up is Ubisoft but that will be past midnight in UK time so I'll write about that one tomorrow. One last trailer to talk about before E3 starts tomorrow. This time it's for Jumpgate Evolution. I've only been following this game because it's been touted as possible competition to Eve Online. However the more I see about the game the less I believe it. 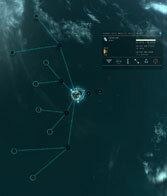 At face value it may look similar, particularly to people who have not played Eve. You tend to just see two online spaceship games. However Eve has been live and evolving for something like six years now (and I've been playing for nearly two) but Jumpgate is still not out and keeps getting delayed, that's not a good sign. 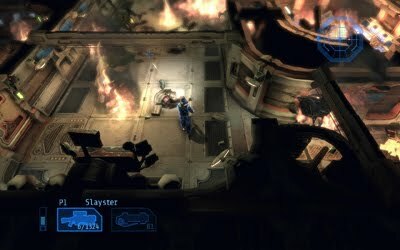 Jumpgate seems to be much more combat oriented where as Eve prefers to think of itself as an online sci-fi simulator complete will an almost fully player driven economy. There's plenty to do in Eve without ever firing a weapon if you wanted, I bet that's not the case with Jumpgate. I'm in no rush to switch so it looks to me like Eve is safe. 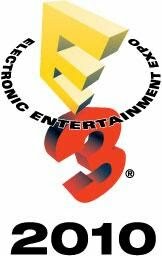 Not long until E3 now, the first event being on Monday evening (UK time) and the news keeps coming. First is news of an MMO based on the new Battlestar Galactica. As much as I love both versions of the TV series I just don't see how this will work. 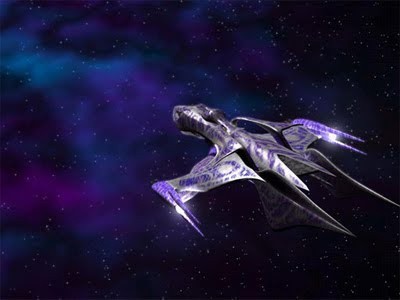 Obviously Cylons vs Humans in space battles will be part of it but what else is there that would work as a game? There has just been a cinematic trailer released so far so I don't know anything about game play yet. It's something I'll be keeping an eye on but I'm not instantly excited to play. Second bit of news worth reporting today is the additional info on the new Rock Band controllers. I already talked about the keyboard but yesterday they released information on the new Pro guitar and what the prices will be like. 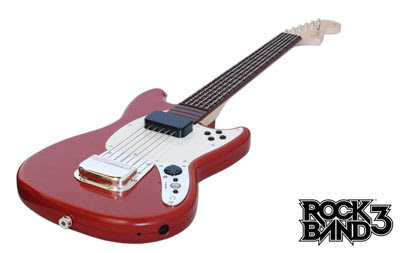 My first impression of the guitar was "Whoa! that's a lot of buttons!". There are 102 buttons on the neck (six strings at 17 frets) which is a bit daunting. I still have problems with only 5 buttons on some tracks. I think I'll stick to the drums! However they have also announced cymbal expansions for the existing Rock Band drums which is nice. Another issue is the price. The keyboard will be $80 and the guitar will be $150. That sounds bit steep to me and that's only the base model not the full size Fender Stratocaster which is planned for later. This has led to quite a lot of people saying if you're interested in learning the guitar that much then for that price you may as well buy a real one, which is a good point. I suppose at least the Stratocaster is planned to do both. Oh and is it not time for a dedicated left-handed model? It seems almost serendipitous that my 100th post would coincide with me finishing my re-watch of Buffy. 100 posts sounds like quite a milestone while at the same time it doesn't feel like I've been doing this for very long. Still it's been fun to do even though some days it's hard to find a topic to write about and it keeps me adding positive things to the internet rather than wasting too much time on the darker side. Now anyone who knows me or has read some of this blog will know that Buffy is my second favorite TV show ever, second only to Firefly. Even though I now say Firefly is top it was Buffy that had more of an impact at the time it first aired. The show has been described many times as a metaphor for the anxieties of adolescence. I was 18 when I first saw Buffy (on VHS! ), slightly out of the high school age group of the characters but not far off. It was still a fresh memory to me so I was the exact demographic it was being aimed at. Being a fan of horror films I was first convinced to try it simply because it was about vampires, but I soon realised there was a lot more to it than that. By the second series I was completely hooked and wouldn't miss an episode. That even got a bit obsessive later on as I drove across the country each week (Sheffield to Manchester) to record some of season six because my Sky system was broken at the time. It was essentially the right show at the right time, lovable characters of my age group which I then grew up with. As I got older, probably around the time the Angel spin-off began, I started paying more attention to the creative people behind the scenes. At which point I became a fan not just of Buffy but of Joss Whedon as well. I sought out his previous work and was surprised to find things like Toy Story, Speed & Alien 4 on his resume. They were all things I had previously enjoyed and now I had another reason for why. Of course these days I'm a member at Wheadonesque, a news/forum site where Joss himself posts sometimes and I follow everything he does. Part of me can't help but wish people would stop cancelling his shows though. Although he's a good director I'd prefer to see him back as a writer/showrunner. However The Avengers is going to tie him up for a few years now. Of all the Whedon shows Buffy is the only one which got to end naturally. The story of Firefly being abruptly cancelled only to become a film later is pretty well known now. While Angel and Dollhouse both got a chance to end but only rushed at the last minute, being cancelled but with a commitment to show the remainder of the season. That means Buffy, at least to me, got the most satisfying ending. I'm not sure how many times I've watched the whole series now but it's quite a few and I still enjoy it every time. I expect I always will as it will remind me of those formative years of my life. The next Buffy Season Eight TPB won't be out until October so I'll have to wait a while for my next fix. Which means I'll probably have to watch Angel & Firefly again too along with buying the new Dollhouse boxed set. However first I've got a big Quantum Leap set to watch. Only three and a half days to E3 now so still lots of announcements and trailers being released. The most interesting for me so far has been Rock Band 3. I think it was Guitar Hero 3 that was the first music/rhythm game I played but Rock Band 2 has always been my favorite. The addition of Bass, Drums & Vocals to the basic guitar format was a brilliant move on the part of the developers. It made things much more of a group experience rather than about taking turns and it had a much better track list along with more downloadable content. Obviously the Guitar Hero franchise has tried to catch up with World Tour and Band Hero but I don't think they ever will. The Rock Band guys seem to have a much better feel for how to do these things, making the new versions backward compatible with the old instruments and letting you transfer your downloads etc. While at the same time they manage to expand the whole concept. 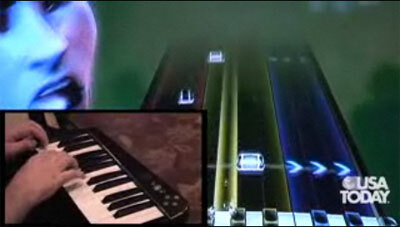 Now they've added a keyboard so along with that and vocal harmonies the game will now support seven players at once. I'm not sure we've got enough space for that where we usually play! The keyboard controller looks fairly basic, although the pictures are apparently just a prototype. Possibly due to having played the piano many years ago the basic five key approach sounded like it would be a bit boring. However after seeing the video of the more advanced modes it does look more interesting. Apparently with the Pro mode and the new (full size) guitar controllers it's supposed to be getting almost close to a proper music lesson. The keyboard is also fully MIDI compatible so can be used elsewhere. Of course the biggest benefit to the addition of the keyboard is the new songs they can add to the playlist such as The Power of Love and Bohemian Rhapsody. It's an interesting concept but I'm not entirely convinced it would work in practice. It certainly wouldn't work in this country due to lack of room for new platforms and stuff. It's still not futuristic enough for me. Where are the supersonic underground pods? 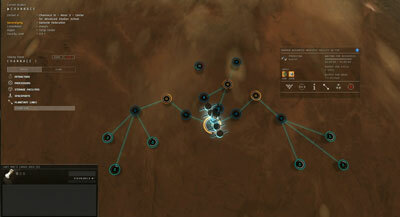 A brand new feature was added to Eve Online today, Planetary Interaction. As part of the latest expansion the ability to extract resources, from the thousands of otherwise decorative planets, has been added. I've been training the new skills necessary in preparation and had chosen which star system I was going to work in so I was ready when the options were enabled after today's downtime. I now have mineral extraction operations on four planets in a quiet corner of Gallente space. The interface isn't the greatest ever you can do what you need to and the whole of the Eve interface is a little weird so that's nothing new. It's not terribly exciting, placing control centres, extractors and space ports but it's a perfect little addition for someone like me who can easily log on once or twice every day but not always for very long. Just time to manage my planets and then move on to something else. 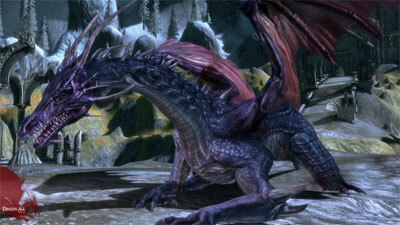 Announced today Bioware have sold the film rights to another of their properties, this time Dragon Age. Unlike Mass Effect this time the rights have gone to leading anime studio FUNimation for a feature length anime film to be released next year. I don't usually watch a lot of anime but this certainly sounds interesting. I've never heard of FUNimation before but they sound like they know what they're doing. So long as the story is well structured and the animation is good quality I'll be giving it a chance. I do like the Dragon Age world and anime has a much shorter production time than live action so if it does well there should be scope for many more. It's now only 7 days until E3 and the hype is starting. Yesterday saw the release of a bunch a new teaser trailers for some of the games which will be showcased. Unfortunately most of them so far are sequels to shooters for which I've not played the original version. I don't mind the odd shooter but it's not my favorite type of game so for me this isn't the most exciting start. Here's a quick look at what's been released so far, links go the the trailers. First there's Killzone 3 and Vanquish, both are fairly generic looking shooters which don't really interest me, plus neither will be released on PC so not much use to me. Then there's Red Faction Armageddon which looks a little interesting but aliens on Mars is a bit Doom 3-esque. Crysis 2 and F.3.A.R. look like they could be good but they're both sequels which I'm not up to date with. I never got around to playing the originals as I didn't have a powerful enough PC at the time and now I do have a new PC there's too many new games to play before I can catch up with older stuff. I've always liked Transformers and Transformers: War for Cybertron looks sort of interesting, although I don't know a lot about it, I'm not even sure what kind of game it is. The best of the bunch so far seems to be Deus Ex: Human Revolution but again it's a sequel and I've still not played the first two games. I do have them on Steam now but I just need to find the time to play them. It seems I've been in the mood for starting new games recently. First Alpha Protocol then Borderlands and now Alien Breed: Impact. This sci-fi shooter from Team 17 caught my eye in the new releases on Steam, it looked fun and was cheap so I went with the impulse and bought it. I've not heard anything about Team 17 for years. Until now I wasn't even sure they were still around. They're most famous for creating the Worms games but I do vaguely remember the original Alien Breed being available on the Amiga but I'm not sure I ever actually played it. They are a small UK developer who are actually based really close to me in Yorkshire so I suppose it's my duty to support them! The game looks fantastic, another great use of the Unreal Engine. It runs smooth and plays well, though admittedly that's on a high-spec PC. The controls were a little tricky to begin with but fine with a bit of practice. I've played the first two levels so far and enjoyed it a lot. I don't know how long the game is but I'm looking forward to the rest. I've seen it described as Gauntlet in space which is pretty much spot on although the waves of aliens aren't as big as the Gauntlet monsters (so far). I'm a bit late on the Borderlands bandwagon. The game came out last year and then I picked it up in the Steam Christmas sale, but I've not got around to playing it until now. Still I've not played a lot but it seems to be interesting. I can't decide if the little helper robot thing is amusing or annoying, a bit a both probably. The graphics style is definitely something different, sort of cel-shaded and hand drawn and realistic at the same time. I've not really got far enough to comment on objectives or story but it looks like it should be entertaining. It's been one of those slow days where nothing much really happens today. I did some work, I fixed a chair, I played some more Alpha Protocol and that's pretty much it. I think I should end the day by doing some work on my Neverwinter Nights 2 module. Only 11 days to go until E3 begins! Arguably the most important week of the year for gamers. It's where nearly all the major announcements are made each year and there's always at least one surprise. In the past I've always wanted to go but as it's a press only event in the US that's not very likely. However the last few years have been much more interesting with live web streaming from all the conferences allowing us fans to be there virtually. I'll be tuned in as usual. I'm looking forward to hearing more about The Old Republic and Fallout: New Vegas along with whatever else is revealed that we don't know about yet. I started playing Alpha Protocol this evening. I'd not really followed the development of this one but after seeing some preview videos I thought it looked interesting. I pre-ordered it but didn't install it right away as I wanted to finish some other things first. It was then I saw it only scored a 6.0 on Gamespot with the following headline: "Alpha Protocol's astounding intricacies are tarnished by bugs, clumsy gameplay mechanics, and rough production values". That got me a little worried. I've only played for an hour or two so far which includes the starting tutorial section and the first couple of missions. I enjoyed the opening, everything was new and interesting. I chose a soldier background specializing in sub-machine guns and technical aptitude. However once I was out in the world running missions I ran into some bugs and issues. I managed to get stuck in a wall at one point and had to load a previous save. Luckily I'd just passed a checkpoint. I don't like the checkpoint save system as it means there are only certain points where you can stop playing which makes it hard to plan your game time. There's also quite a few oddities in the PDA interface which don't seem very intuitive to me. I keep pressing the wrong button to close the map for example. I get the feeling this is another game which has suffered by being designed for an XBox controller and later ported to PC. It's not so bad that it will stop me playing, there's nothing totally game breaking, it's just a little disappointing after the hype. Hopefully they'll be able to patch a lot of the problems. Until then I'd only recommend it if you're really into RPGs or spy games, otherwise I'd wait a bit for patches to be released and prices to come down.